UPDATE: The fire has been extinguished and Red Lion Road has been reopened. 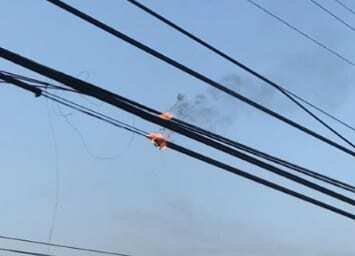 A White Marsh road was shut down on Thursday morning due to power lines catching fire. At about 8 a.m., the White Marsh Volunteer Fire Company reported that Red Lion Road had been closed in the 11000 block. BGE and Verizon are currently on the scene and making repairs. There has been no word on what caused the fire.